Take 3 capsules a day before going to bed - always on an empty stomach with plenty of water. The best time to use the product is in the evening, just before bedtime. Growth hormone is released by pulses, so taking the preparation before sleep can have a positive effect on the nighttime GH release. Additional benefits will be the improvement of sleep quality and regeneration. To ensure optimal bioavailability of active substances, the supplement should be taken on an empty stomach and abundantly washed down with water. Composition of zinc and magnesium in capsules. 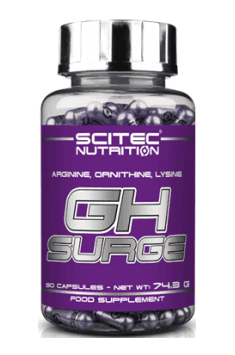 Increases the level of testosterone in the body and promotes anabolism.